There are so many wonderful feminist literatures out there meant to broaden our understanding of womanhood in the United States. Most contemporary texts emphasize the importance of intersectionality (an approach which considers the contours of race, class, and gender) while others don’t. To help you sort through the stacks, I’ve compiled a short list of some of my favorite feminist literatures that I continue to visit in my academic work. McClintock’s archival and historical approach in this work highlights how colonization has contributed to how we currently conceptualize terms like “Black” and “woman.” By gazing back at women whose class, race, and gender problematized Victorian Era conceptions of what a woman was “supposed to be,” McClintock helps to accentuate how women, primarily of color, have come to experience public space as they do today. It was amazing to see how McClintock used the commodification of things as quotidian as soap to articulate how race and gender narratives were mass marketed on a global scale. One of my favorite features of this book is its ability to ask questions about racism and sexism simultaneously, never positioning one over the other. Goldsby’s work in this text is impressive. While the book is about 300 pages long, it wasn’t just the page length that made this book a bit of a reading Leviathan. The book overall juxtaposes the secretive history of lynchings in America with the spectacular-ness of the phenomenon in American history overall. To do this work, Goldsby writes in a way that makes the text incredibly immersive. I found myself reading chapters and passages several times to ensure I really got the full meaning. Of particular interest, for me at least, was Goldsby’s chapter on writer and social activist Ida B. Wells. Her combination of narrative, biography, and archival work made me feel like I had a true peek into Wells’ life. I know I will be re-reading this book time and time again. This book was actually a surprise favorite for me. While the overall text seeks to complicate the narrow framework used to describe “L@tino Americans,” it also does some amazing work on the feminist of color front. Beltran argues that terms like “L@tino” and “Hispanic” have very specific histories. These histories have been contested and molded rather than established in some innocuous linear fashion. And, along the way, the public conception of what it means to be L@tino in this country has meant that L@tinas have been forced to the margins in their own movements. While this is primarily a theoretical text, it uses some very persuasive examples of social movements which clearly depict her underlying argument. It is a great read even for those who are not necessarily familiar with L@tino American history and politics. Scenes of Subjection is one of those books that you hate to pick up but you simply can’t put down. I struggled immensely with some of the passages, particularly those which outlined the physical toil Black women in the nineteenth-century experienced. Hartman’s argument is simple: the subjective nature of slavery and institutional racism was not always articulated through the obvious scenes of the era like chains and whips. Rather, there were other physical and non-physical locations where the subjection of Black bodies presented itself. In this way, racism became ubiquitous, ever-present, and almost inescapable. Hartman’s work here is beautiful. It may be hard to read emotionally but it is truly worth it in the end. While there are a great many works I could add to this list, these are a diverse collection of books in that they each deal with different eras of race, gender, and sexual formation in the United States. Each tells much the same story but from differing perspectives. 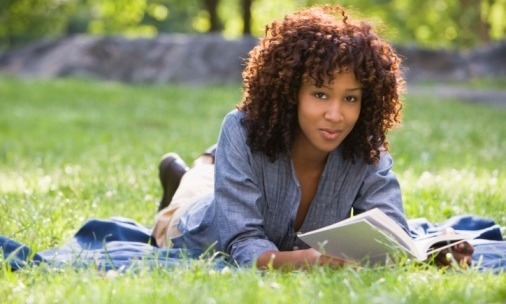 In all, they are must-reads for any feminist blerd in this day and age. You can pick up any (or all) of these books in our Blerd Store. Have other books you like for this list? Tell us more in the comments below.